The U.S. Army Medical Research Institute of Infectious Diseases - a tenant agency on Fort Detrick in Frederick - is investigating after five laboratory primates tested positive for the bacteria that cause tuberculosis. Tuberculosis - a bacterial disease that primarily affects the lungs - can cause chest pain, persistent coughing and coughing up blood. It's rarely fatal among patients in the United States but does require at least a six-month treatment regimen of four antibiotic drugs. 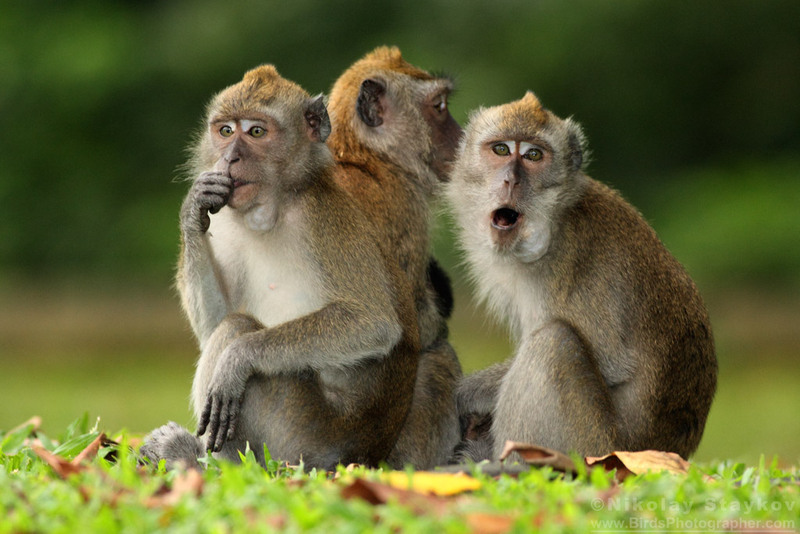 The disease was found among a group of cynomolgus macaques, also known as crab-eating macaques - an important species to biomedical research. One monkey was identified as a suspect for tuberculosis in late February and tested positive for the disease in March after a necropsy, said Caree Vander Linden, a spokeswoman for USAMRIID. Further testing identified five other macaques with latent tuberculosis, meaning they tested positive for the disease but did not show outward symptoms. The monkeys were obtained by USAMRIID from the National Institutes of Health Animal Center near Poolesville, according to Vander Linden. The NIH did not immediately respond to a request for comment, nor did the Centers for Disease Control and Infection, which also oversees the importation of laboratory animals into the United States. A human caretaker who works closely with the macaques tested positive for tuberculosis bacteria, Vander Linden said. The worker will receive antibiotic treatment for the disease. The agency has identified 115 other people who worked in areas where the animals were housed. They will be contacted by the Frederick County Health Department, which is working with USAMRIID to track potential exposures. The Health Department is still waiting to receive a list of people who need to be interviewed, said Darlene Armacost, manager of the Communicable Disease and Preparedness Program. USAMRIID has expanded the search to any worker who may have come in contact with the monkeys from Nov. 1, 2016 - when the first infected animal arrived at the agency - to Feb. 15, 2018. "At most, we'd expect someone who might test positive for tuberculosis infection - meaning they have the bacteria in their body but they're not sick, so they're not showing active symptoms and can't transmit [the disease] to anyone," Armacost said. She emphasized that the disease was unlikely to be contracted by anyone without direct exposure to the infected macaques. Because the human caretaker did not have active signs of tuberculosis, it is unlikely that the caretaker spread the disease to a broader circle of contacts. "For right now, the monkeys were the patients that could have spread the bacteria, so the contact investigation revolves around those monkeys," Armacost said. It's still unclear how the animals at USAMRIID contracted the disease, according to Vander Linden. Research has shown that tuberculosis can circulate at low levels among primates imported to the U.S. for research, but there are also strict quarantine protocols before the animals are distributed to labs. The first monkey identified with tuberculosis had undergone multiple health evaluations by the CDC quarantine facility, NIH Animal Center, and USAMRIID's own animal facility. The animal had been disease-free in all previous screenings, according to a statement from Vander Linden. Employees identified the original macaque after noticing a neck lesion that looked abnormal. The animal was euthanized, and a pathologist noted lesions in the lungs and other organs that were consistent with tuberculosis infection.